Iceland has always been one of my favorite places to explore and go shooting. In fact, I’ve been there at least six times! 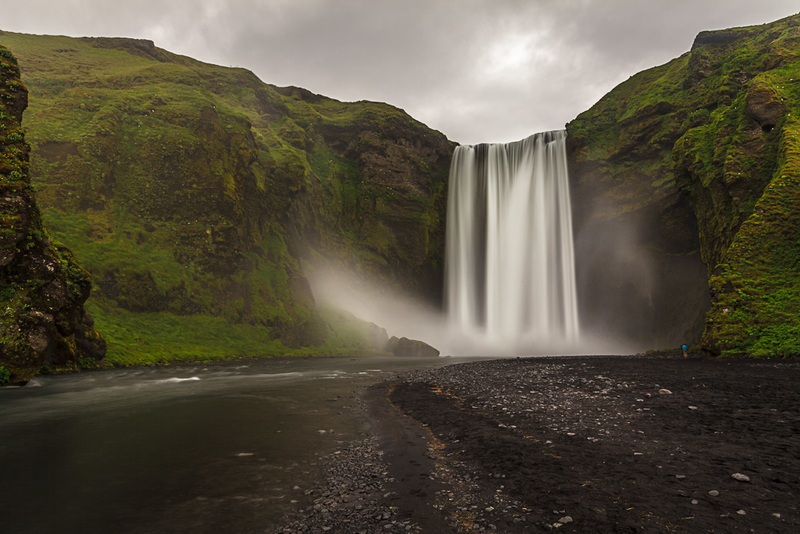 One of the things that sticks out to most people who visit Iceland is the sheer number of waterfalls. It’s hard to go a day in that country without photographing at least one waterfall. And many of them are just spectacular. Lately, I’ve been revisiting and processing more of my photos from previous Iceland trips, many of them waterfall images. I posted three of them below, and they should give you an idea of how big these natural wonders are. In the last photo, you can even see a tiny person standing near the foot of the falls. I have a lot of tips for shooting waterfalls. In fact, I’m even writing an e-book on the subject. But here’s a quick tip I’ll leave you with now. There are three things I always carry with me when shooting waterfalls and can often be crucial to getting a decent image. 1. A tripod: Waterfalls usually require longer exposures, especially if you want to get that silky water effect. 2. A lens cloth: If you’re shooting close to the water, chances are you’re going to get a lot of spray, and little droplets on your lens could mean the death of your image. 3. A neutral density filter: I don’t always need this, but it’s come in handy more times than I can count. This filter will let you shoot with longer shutter speeds, even during bright days. You need longer shutter speeds to get the silky, water-in-motion look. (I used ND filters in two of the three shots below). I’ve got two photography workshops in Iceland coming up in 2013 and I’d love for you to join me there. Iceland’s winter landscape offers amazing opportunities for photographers. Ice caves, frozen waterfalls, light painting and the northern lights are just a sample of what’s in store for you in this amazing country. When we’re not in the field shooting, we’ll be in a classroom environment, editing and refining our images. Click here to learn more. Would love to visit Iceland one day.